Barely a week after closing the Missoula Independent, Lee Enterprises on Tuesday shuttered Montana Magazine, for half a century a showcase for the state’s natural beauty. Both moves come just before the Sept. 30 end of the media corporation’s fiscal year – and after both publications repeatedly struggled to meet corporate earnings expectations. 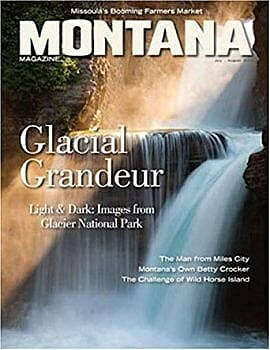 “For nearly 50 years, Montana Magazine has captured the best qualities of Big Sky Country and helped define its unique character,” Gibson wrote. “Unfortunately, the dynamics of the publishing business have changed, and the magazine has reached the end of its distinguished run,” he continued. Gibson promised subscribers a refund for the unfilled portion of their subscription, and gave them avenues for hastening that process. Over the past decade-plus, Lee Enterprises made dramatic cutbacks in its funding for and support of the magazine, which originally was published in Helena. It moved the magazine to Missoula and added it to the workload of news reporters, photographers and editors at its newspapers there and in Helena, Billings, Butte and Hamilton. Freelancers were gradually pared back, and their wages cut. It was unknown Wednesday if the closure would result in any job losses, although the magazine no longer had any employees strictly dedicated to its publication. Gibson’s announcement came a week and a day after staff members at the Missoula Independent arrived for a new work week only to find the door locked and a note saying the weekly newspaper was ceasing publication. All those employees apparently lost their jobs.